Shanghai, China – 12 September, 2013 – Altium Limited, a global leader in Smart System Design Automation and provider of solutions for 3D PCB design (Altium Designer) and embedded software development (TASKING), has released a new range of component libraries for board-level designs using Linear Technology power management devices. 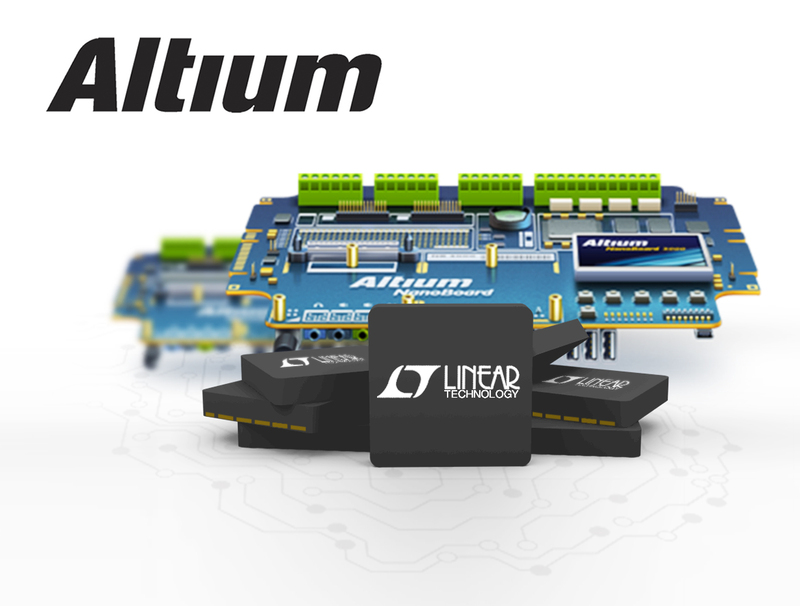 Available now from AltiumLive, the release delivers more than 13,000 new board-level component models and corresponding supply chain information, such as real-time price and availability data from distributors and vendors including Digi-Key, Mouser and Farnell, directly to designers using Altium's electronics design software Altium Designer. "Developing PCB component models for manufacturers such as Linear Technology, allows us to add to the wealth of design-ready content we provide to our customers for use in Altium products" said Rowland Washington, Product Manager CAD Library and Design Data Development for Altium. "Releasing our design content on the AltiumLive platform allows us to effectively deliver content direct to our users, and enables seamless ongoing maintenance and updates to our ever increasing collection of supply-chain enabled component libraries, in harmony with the needs of Altium’s customers and partners". This announcement highlights Altium's ongoing expansion of the design content available through AltiumLive. The total number of available components has now exceeded 140,000. The board-level components for new and existing Linear Technology device families, along with other vendors including Texas Instruments, Microchip, Maxim and more - can be accessed online by visiting the Community > Design Content section in AltiumLive at http://live.altium.com/. More information on board-level components and how they are accessed in Altium Designer is available from AltiumLive and in the related blogs. Linear Technology products are available directly from Linear online or from a range of Linear authorized distributors worldwide. For more information, go to www.linear.com.